The fund, according to ADI, can be raised through the issuance of bonds on the international market to support the country’s five key commodities such as avocado, pineapple, coconut, sweet potato, and sweet potato, which have huge potentials offshore. The cultivations of these five commodities on a large scale would also serve as a measure for import substitution and also feed the factories that the government is creating through the 1D1F program. 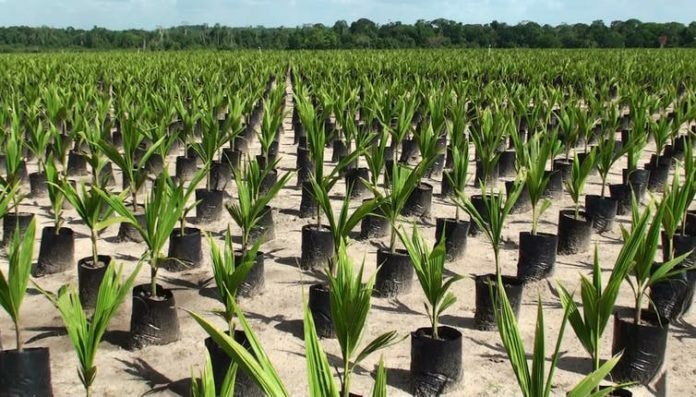 According to ADI’s arithmetics, the cultivation of coconut for export over 130 thousand acres is expected to generate $250 million per annum over a 10-year period with an expected 61,000 jobs. The cultivation of avocado on 120 thousand acres of land over a six-year period is expected to generate $700 million per annum with an expected 24000 jobs created. Sweet potato cultivation on 35 thousand acres of land could generate $200 million annually with an expected 14000 jobs. Citrus can generate $180 million annually on a 95 thousand acres of land with an expected 36000 jobs, cashew could generate $40million annually in the next six years , mangoes could generate $160 million annually with an expected 3100 jobs , pineapple could generate $150 million per annum and also essential oils could generate US135 million per annum with over 25000 jobs. The ADI has called on the Finance Minister to work assiduously to raise this bonds for the agriculture sector, since it is considered as the backbone of the country’s economy.